During 2013 Indonesia as a whole has seen more family holiday makers visiting the country and therefore the Gili Islands have become the perfect island getaway. Trawangan Dive has noticed this trend and has therefore upped its game in terms of accommodation needs and scuba diving programs aimed at families with young children. In terms of accommodation we have always offered the backpacker rooms as well as our luxury chalet style bungalows which are situated on site surrounded by our lush tropical gardens. Over the course of 2013 we have experienced more families with young children and have noticed more families seeking a more tailor made villa style holiday experience, so therefore we have expanded our range of choices in terms of family orientated accommodation rentals. It’s never been easier to book your villa on Gili Trawangan, simply email your details the Trawangan Dive “Exclusive Villas” department (www.trawangandive.com) and give them your details and requirements. The Trawangan Dive accommodation team will do the rest and find you the perfect place to enjoy you vacation with the family. We have also noticed a huge increase in the numbers of families wishing to take part in diving programs and therefore have taken the necessary steps to ensure families receive the best possible experience and have also built a brand new luxury family villa in the resort directly next to our dive shop allowing families to fully immerse themselves in the dive schedule whilst at the same time to be able to make full use of their beachside villa. The rise in families taking dive programs and activities has also prompted us to review the facilities available to young divers, and over the course of 2013 we have taken every step to ensure the safety, satisfaction and overall enjoyment of our programs. Our staff have been fully trained in and briefed in the education and care of PADI junior divers. Our facilities have also endured a complete makeover; having retiled our entire onsite training pool and upgraded our range of equipment for children. Trawangan Dive has received multiple trip advisor reviews from families all over the globe and is looking forward to welcoming more families in the coming years. So if you’re looking to take a family vacation and experience the true wonders of our tropical island and our magnificent ocean, the journey starts here. 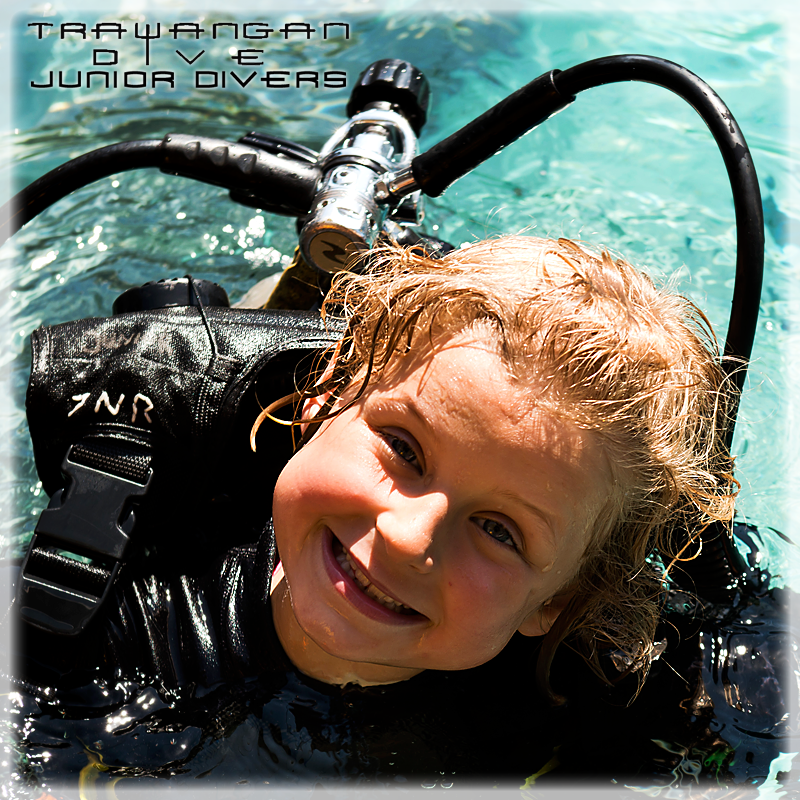 Check out The Trawangan Dive Web Page of visit The Trawangan Dive Facebook Page!